Let’s start with a manufacturer’s website. This is where customers conduct business by checking products, pricing and even placing orders. Some manufacturers may not know if they own their domain name. If not, the website is not safe. A domain name needs to be listed as the “registrant” on the domain name ownership records, which is better known as the "Whois" records. Many manufacturers don't update their website, because they don't know how to do it. They should find a good website specialist and update regularly; otherwise, the company will become irrelevant to the customers that are being pursued. It will also affect Google's search results. Website visitors only read about 20% of the text. The page should only contain the content they need and nothing more. All text should be short, explicit, and most importantly focused on sales. 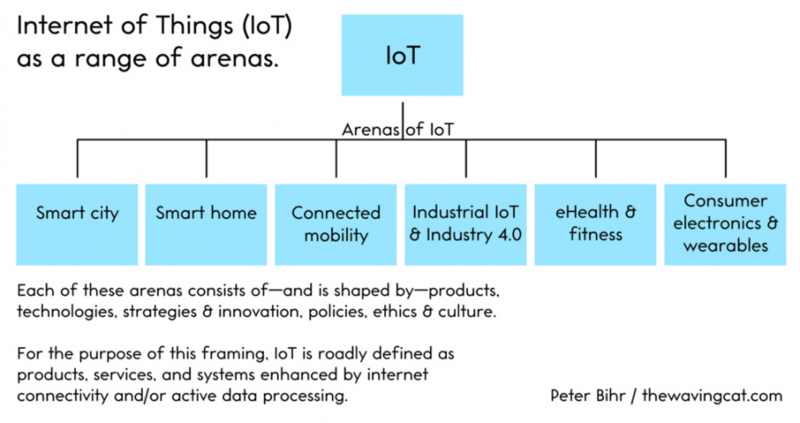 When launching connected products for the IoT, manufacturers can make serious blunders, which can be very costly, in money, time, and disappointment. When launching a new connected product, will the manufacturer inform its customers how they are going to use this particular product, or what value the new features offer? And, will it communicate what kind of customers or users will appreciate the extra value? A website is the showcase for the manufacturer. If a production schedule is based on experience with traditional products, the time required to produce an IoT solution and take it to market will be miscalculated. Besides the features in the connected product, cloud operations must be taken into consideration. A connected product will involve more testing and reﬁnement than a standard product. A single device IoT product could possibly take 12 to 18 months to get to market, and gateway products will take 18 months to 2.5 years. When should a manufacturer be satisfied with “good.” Never! It is essential that every company needs to continually strive to get better. Too many companies think that when they reach a goal, they are done. Operational excellence is an enriching undertaking. Just like an athlete, who constantly tries to better his or her record, a company must do the same. It's not good enough to just out perform yesterday's accomplishments, as yesterday is never good enough, and it's not good enough to beat the competition, as they will then try to be better. Every single day, a manufacturer must go all out to be superior. Company marketers produce promotional content only to promote their company’s products or services, while 75% of their customers want substance that aids them in their research into their own business concepts. Promotional content should provide perceptive guides and resources to help solve the challenges of their customers. The messaging within a company’s marketing content can make or break its relationship with its customers. These same customers will never buy a product if they differ with how a manufacturer has portrayed the tie-in with their needs. Many manufacturers concentrate too much effort on acquiring new leads when the easiest success lies in repeat business. Following up with existing customers and making them feel cared for will produce the most profitable sales. This can be accomplished by checking with customers and asking for their feedback on a product. If a manufacturer sells through distributors, it would be a big mistake to think of them as a customer rather than a channel partner. The real customer is company that has a need that’s best met by the function and features of the manufacturer’s product. Both the manufacturer and the distributor need the customer in order to stay in business and hopefully grow. Therefore, a manufacturer needs to structure its relationship with the distributor to best serve the manufacturer’s end customer. Managing a distribution territory is often a significant endeavor for a manufacturer. Salespeople who have the responsibility of doing business with distributors must be trained in more than just product knowledge and basic selling skills. They need to know how to tie the distributor into the needs of the manufacturer’s customer. Distribution channels have life cycles of their own, and a channel becomes outmoded when it no longer meets the requirements and expectations of the customers it was meant to supply. Therefore, as an industry changes so must the manufacturer, which must rethink the channel it’s using to market and sell its products. We see many manufacturers making the same mistakes over and over again, which can sacrifice customers, and profit. Too often, the marketing department doesn’t have a clear answer as to what it wants to accomplish. This question needs to be answered before a company can put together an effective strategy. Even those manufacturing companies that do have goals are often concentrating on the wrong goals. Their attention is on website visits, clicks, views, and social followers; but, what really is imperative is increasing leads, conversions, and revenue. A manufacturer needs to answer prospective questions, such as what makes the company and its products different, and what knowhow can the company share? Without the answers, the prospective customer will go elsewhere. Too many manufacturing companies are content to wait for prospects to find their websites and contact them. A company website not only needs creative content but needs to do whatever it takes to be sure potential customers see it. The company needs organic search engine optimization (SEO), paid advertising, and paid social media. 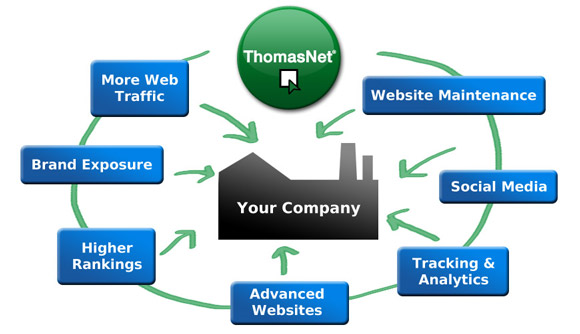 When a company needs a supplier or new product, it searches Thomasnet.com. Be there. You’ve heard the phrase, “Are you smarter than a fifth grader?” Many manufacturers are too technical when explaining their products to customers. A manufacturer needs a simple and clear explanation, which should be from a customer’s perspective. This is true whether the presentation is to engineers or fifth graders. Get away from the specifications and buzzwords and talk simple reasons to buy. Every manufacturer makes mistakes. What is important is that they learn from these mistakes. The manufacturer needs to identify what works and what doesn’t, but most importantly, doesn’t make the same mistakes over and over.